Already decided to complete your Divemaster qualification during your gap year, career gap, or travels abroad? Need we say more? You’re going to come here anyway on your travels in Australia, why not live like a local for a while? You'll have plenty of time to explore the endless surf beaches, rainforest trails and happening nightlife! It's not our fault if you don't want to leave. Ranked as one of the top ten dive sites in Australia, Julian Rocks, our preferred dive site, is home to more than 500 tropical and temperate fish species alone, in addition to sharks, rays, and sea turtles. With open water temperatures ranging from 18° to 27° Celsius, and a heated learning pool onsite, you'll never be too cold to enjoy your Divemaster experience! Also, Byron Bay has one of the best climates in all of Australia, year-round. We don't suffer from the extremes that Sydney and Cairns experience. Small class sizes full of international travelers such as yourself, taking time abroad to travel and explore Australia. It will provide you with an instant network of like-minded adventurers to explore Australia with! You can explore underwater photography or videography through optional courses with some of the top professionals in the world. Combine your passion for the underwater world with your creative mind and enhance your Divemaster qualification! 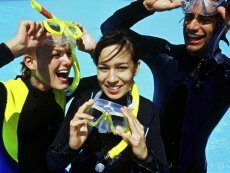 Considering building a divemaster or other education qualification into your gap year, career gap, or international adventure? How many people return from their travels abroad only to return to the same boring desk job that they had before they left? Unfortunately, too many. Be different. Spend just ten weeks out of your time abroad and learn important skills that could actually lead to an entirely new career! Even if you decide not to pursue a career in the dive industry, divemaster qualifications will allow you to explore the underwater world on your terms, providing the ultimate freedom. Travellers who work while abroad gain a deeper appreciation of the culture and make deeper friendships than those who simply take tours. And a little extra pocket money never hurts, either! 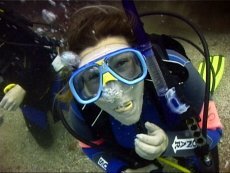 If you haven’t experienced the underwater world, you’re in for one of the most awesome experiences available to humans. While space travel may be the last frontier, the underwater world is a lot more accessible! Every dive presents a new opportunity to explore natures' wonders. Explore with us and feel safe knowing you are in good hands. As a Divemaster, you will be qualified to lead and personally dive some of the most technical dive spots around the world. 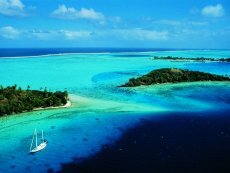 Plenty of these dives are located in the most exotic destinations worldwide, such as Palau, Malaysia, the Carribbean, etc. Turn your interest/hobby into a passion and you (and your partner) will be the envy of all of your friends! Convinced? 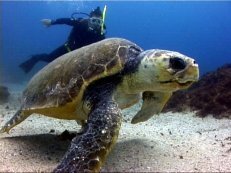 Excellent, check out the Program Calendar and contact us to book your Divemaster spot!